The motorcycle jacket is one of the most iconic artifacts of biker culture, especially in public consciousness. When people picture a motorcyclist, they tend to envision someone clad in a well-made, well-fitted leather jacket. With the continuous advancement of material sciences, the constant diversification of motorcycles themselves, and the rather varied climates of a global society, there are a plethora of jackets to choose from. 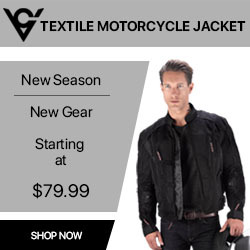 You’re bound to find the jacket that’s ideal for you, but there are a few variables to consider, such as what you find comfortable, the climates you’ll be riding in, and the type of motorcycle you’re going to use. There are basically for style groups, when it comes to these jackets – Cruiser, Racing, Sport/Street and Adventure Touring/Dual Sport. Each of these has its own strengths, making them ideal for a specific riding style. Surprisingly, no single type of material/textile is standard for any given style of jacket either. Cruiser – This is the classic motorcycle jacket that most picture – the icon, the stereotype. While most commonly seen in leather, they’re also available in many other styles, with a focus on comfort and aesthetic. These are ideal for casual riders and those that use their motorcycle as transportation going about their daily lives. Racing – Racing jackets are distinctive for their tight fit and somewhat “space age” appearance. The tight fit is to prevent wind resistance, and the distinct appearance is due to flex panels designed to allow mobility while providing padding against abrasions from dangerous high-speed offs. They tend to have a narrower collar, and a zipper to fasten to racing pants (preventing ride up). Sport/Street – These jackets are a casual modification of racing jackets, taking the slower speeds into account. They’re distinguished by the less prominent flex panels and the looser fit focusing on comfort. Seasonal jackets of this sort also include insulation and ventilation to help keep the rider cool or warm in harsh conditions. Adventure/Dual Sport – This is a less common style of jacket, used primarily by those whom go on long rides across varied, often rough climates and terrains. They look like nothing more than a survival jacket imitating a racing jacket, with pockets for gear, layers of insulation and impact padding, and a form-hugging design with an additional fastening around the neck. These are ideal for winter riding, or those long trans-continental adventures. There are important factors to consider, which will determine the material you choose, and the style of jacket most suited to your needs. Leather or Textile – The first decision you’ll want to make is if you want leather or textile. Leather has a classic look, and many regard it as quite comfortable. However, its real strength is in its resistance to abrasion. However, for comfort and versatility in multiple climates and weather conditions, textiles tend to outperform it. This all comes down to whether you want comfort in various climates, or wish to focus on the durability of leather. Visibility/Reflectivity – While many would argue that subtlety is a sign of good everyday design, a jacket that catches the eye can actually be a major boon to safety. You want people to see you, and be aware of your presence and location on the road! 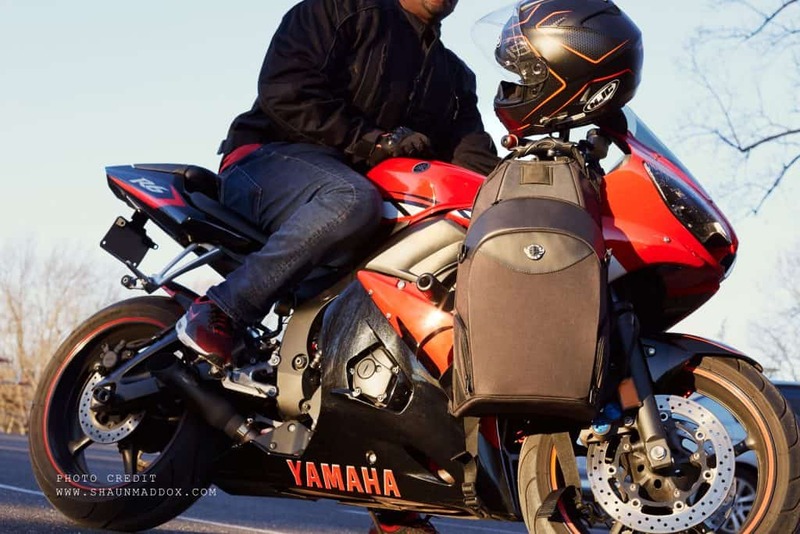 Liners and Armor/Padding – If you ride in a temperate area with both hot and cold weather, you may want to look for a jacket with removable or all-weather lining that can help keep you warm in the winter, without the jacket cooking you in the summer. Similarly, even if you’re not a dare devil (and you shouldn’t be! ), focusing on padding/armor around the chest, back and shoulders is also important, as these are areas where damage can be the worst if you have a nasty off. Fitment – Finally, you want a jacket that fits you well, and comfortably. It can be hard to find one that’s a perfect fit, but many styles of jacket have fitment adjustments on the waist and slides on the sleeves, which provide just the right amount of hug or slack for your personal comfort standards. You don’t want to wear a jacket that’s too tight or constrictive, cutting off circulation. The fatigue from this can lead to serious dangers. 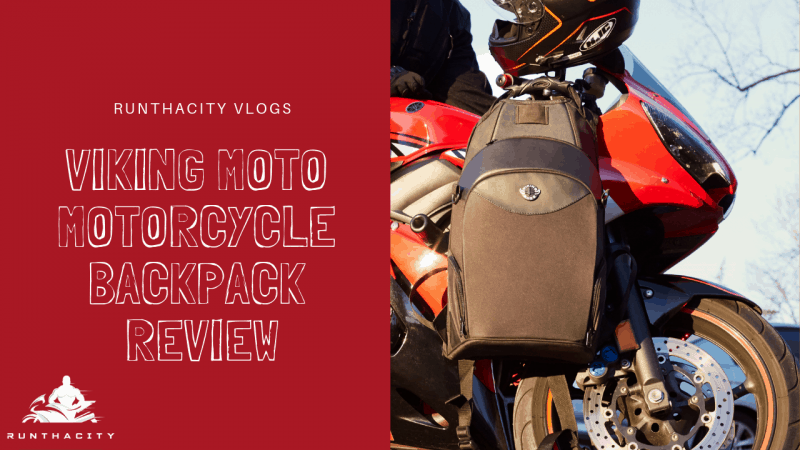 To learn more about the different styles of jackets, which ones suit which styles of riding, and much more about the adventurous world of motorbiking, subscribe to my YouTube channel today! Let’s all agree that the biggest problem with our bikes being daily transportation is the lack of hauling capacity. So, just as in our scholastic days, backpacks to the rescue! But not just any backpack will do. We’re out in the elements, we’re hauling heavier stuff than a few books, and of course, we don’t want to look like a vagabond. 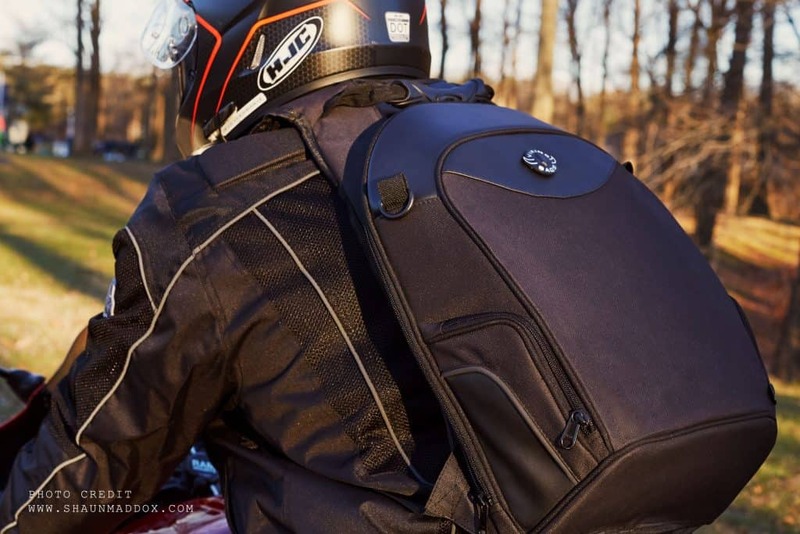 That’s where awesome designs like the Viking Bag’s Motorcycle Backpack shine. This isn’t your high school backpack, oh no. 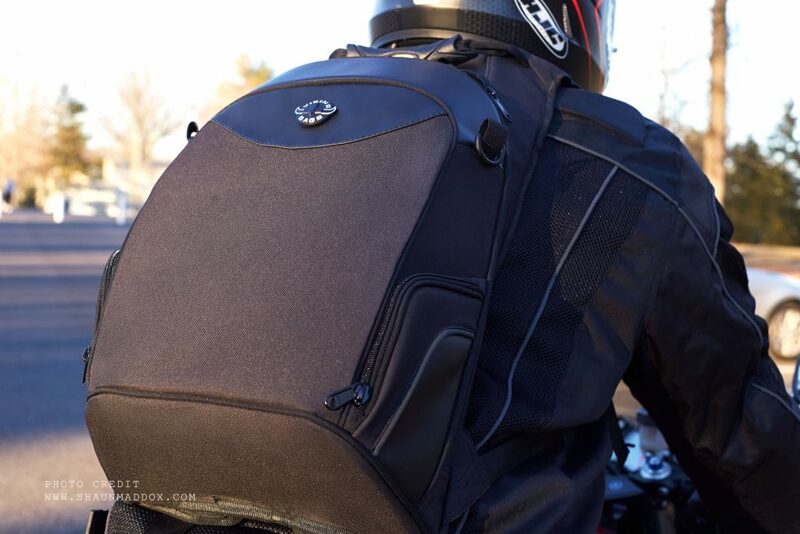 This Cordura backpack features a modern classic look with leather trim and an understated aesthetic that will match your jacket and your bike, no matter what type of bike you like to ride. 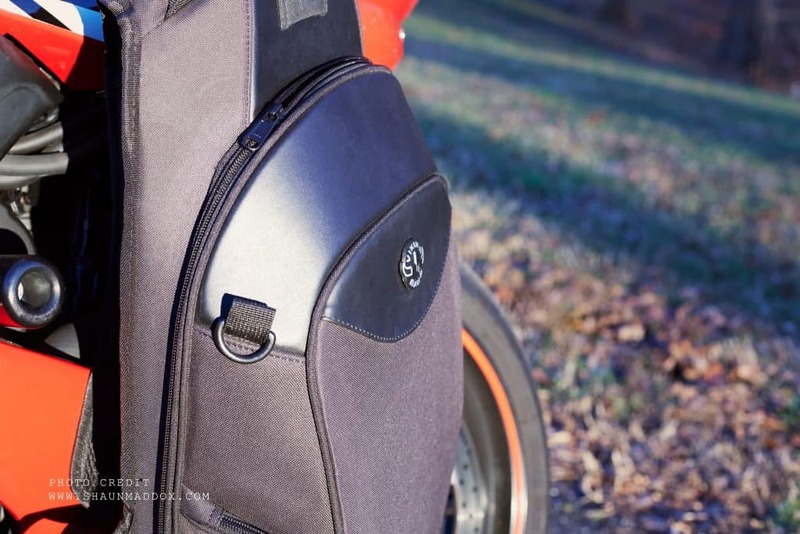 Let’s take a closer look at this awesome bag, and how it can make your daily rides so much cooler. As I said, this backpack is made of Cordura, a modern marvel of material sciences that fits comfortably on your body, while not being a floppy, frail backpack. With dimensions of 18.5”x12.5”x5”, you can carry groceries, personal items, or personal items with ease and comfort no other bag can offer. Need more organization, or to haul some electronics with you? 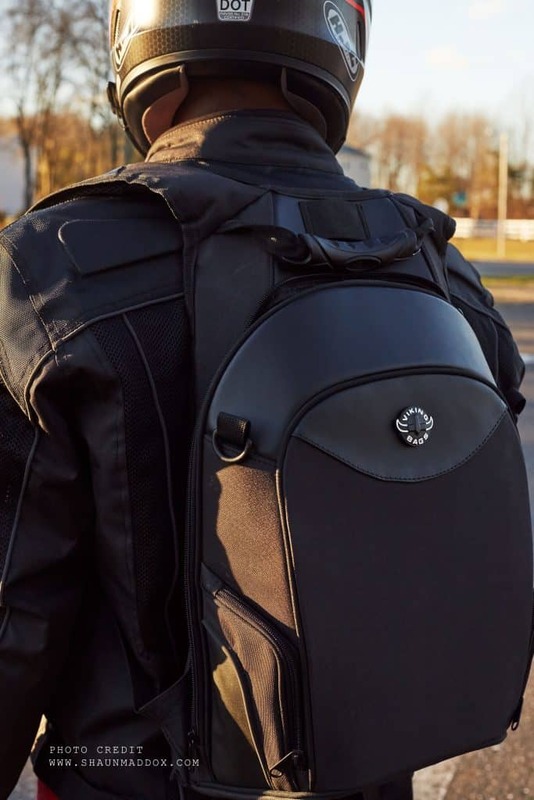 Well, Viking’s completely onboard with 21st-century life, including a laptop sleeve and stretchy, sewn in pockets for organizing your styluses, connection cords, your phone, and anything else delicate and vital you may need to carry. That’s not even the coolest thing this bag can do. 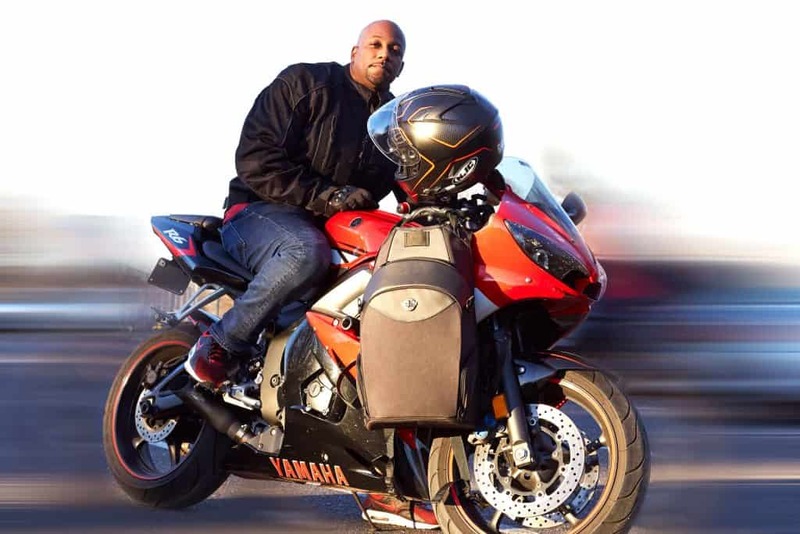 We all know how important our helmet is for safety, but when we get off our bike, it becomes a cumbersome nuisance to carry around or somehow safely secure to our bike. With this Viking bag, that’s not an issue, thanks to the stretchy helmet lining which can hold pretty much any helmet of any size no problem. Gone are any excuses, whatsoever, to forego your helmet. You know who you are! I took one of these out for a day ride, that is about 6 hours round trip, to go shopping in another area (I usually wouldn’t, but it’s a good field test for gear like this). By the time I reached my destination, I almost forgot this bag was even attached to me, and that was with a heavy laptop and backup battery in my bag. I did, however, notice that as I took the bag off when going into a restaurant, that my shirt was a bit damp, as I’d sweat from where it blocked air flow to an extent. However, having had other bags leave the back of my shirt completely soaked through, I’d call this a considerable improvement in that department. Given this bag is weatherized, it kind of can’t have the airflow of something mesh, and I’d rather sweat a tiny bit while having my stuff protected from the elements. 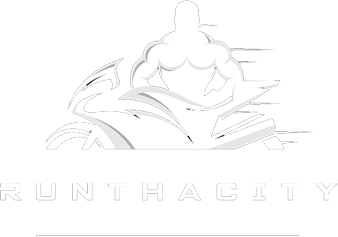 What really caught my attention was the lack of soreness or discomfort across my shoulders, neck and upper back. I’m a broad-shouldered fellow, which means most backpacks with any weight, tend to tug on muscles and leave me sore or even numb – the broad design of the straps both across the shoulders and waist, didn’t cause that problem at all. This is an attractive bag that doesn’t scream “hobo” or “kid”, with a professional yet casual aesthetic that matches any jacket well enough. It’s weatherized, and will protect everything with gusto. It’s very comfortable, and the strap designs don’t cause soreness, discomfort or circulation problems. I can carry my electronics in an organized fashion – this modern thinking is lost on a lot of biking gear companies. The helmet lining does the biking community two great services by making our helmets no longer a nuisance, and eliminating any excuses for anyone to foolishly leave their helmets behind. Being weatherized, you will sweat a little bit, it can’t be helped. While attractive, the black may not be everyone’s taste. I know a few hefty guys who might find the fit of this bag, adjustable as it is, to be a bit precarious. Reflective piping for additional night time visibility. Fits most 15″ laptops in padded compartment. Detailed organizer for your keys, wallet and other small items. Duraflex® buckles throughout for added strength. Height and width adjustable sternum strap. I like this bag. It’s not perfect, and I can see some room for improvement in variety of color schemes as well as a bit more adjustability in the straps for bigger people. I’d also like to see another model that’s stretchier, for if I have more stuff to haul back. 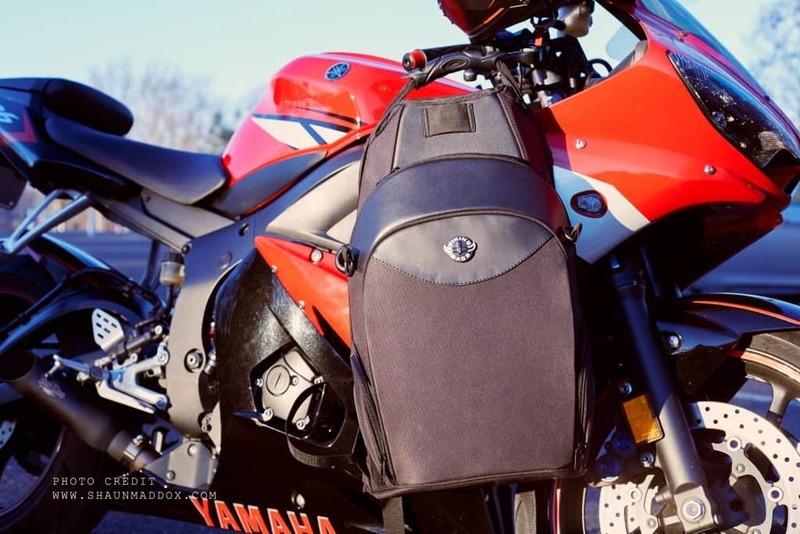 Nonetheless, this is a nice bag, and if you ride your bike for daily things like I do in decent weather, you owe it to yourself to give a bag like this a try! The HJC IS-17 helmet is one of the most popular in HJC street helmets, made of advanced polycarbonate composite and with a new 3D face shield design. It is kind of a mixture of the HJC FG-17 and the HJC CL-17, although the FG-17 has a fiberglass composite shell and the IS-17 has a different fit than both the CL-17 and FG-17. 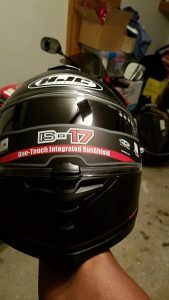 Although the IS-17 has a comfortable fit and a sun visor that provides excellent coverage, it does not have good ventilation and the internal sun visor means it does not have Snell certification. All the parts of the IS-17 move together well despite the fact that the recommended retail price is around $162. 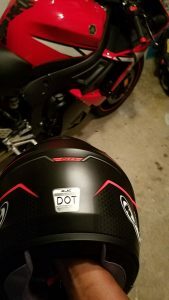 Despite the cost, the paint and finish are good quality and comparable to helmets that are similarly priced, although it should not be compared to higher priced helmets like Arai or Shoei. The chin curtain, like the CL-17, is an option, although for a few extra dollars, it could be included as standard. The pinlock insert is also an option, although it is not as critical as the chin curtain. The clear plastic face shield has some waviness and clouding that could result in a visibility problem. In addition to the face shield, the fact that 85 percent of the vent holes are blocked is an issue. Very little air flows through the vents to the rider and the fabric liner across the top blocks the top vent. The sizing seems slightly off in the IS-17 with an “XL” fitting more like an “L” and the internal shape feels mostly “neutral” rather than “slightly round” like other HJC helmets. This may be due to the sun visor at the forehead which gives a feeling of less room inside the helmet and a snug fit. The interior is nicely padded and the fabric comfortable. You can remove the cheek pads and liner for washing. There are also optional cheek pads in sizes that range from XS, at 40 mm thickness, to XXL, at 25 mm thickness. The face shield operation in the IS-17 is exactly the same as the FG-17 with a center locking lift tab that works fine on the helmet. The center locking lift tab also allows you to adjust for city positions or for an initial defogging. It does have waviness that could affect visibility and which some riders may find unacceptable. The eye ports seem to be slightly better than average despite the sun visor. Once the shield is locked shut, it seals tightly around the eye port gasket. Water drains away from the rider along the top of the gasket and along the sides through a rotating mechanism. The face shield is easy to remove and can be replaced with optional mirrored or tinted face shields. Ventilation and air flow in the helmet is one of the biggest problems. The top vent looks as if it should draw in a lot of air but the holes through the lining do not come close to lining up with the vents. In addition, the fabric liner blocks the vent holes to the point that even if air came into the helmet, you would not feel it because the holes are covered. This is not only true of the top vent, but also for the rear exhaust vents. The chin vent does direct air up, but it is an option with a price of between $4 and $5, something that is worth the added cost. How are the Helmet Sound Levels? The HJC IS-17 is quieter than most helmets with general wind noise around the sides. However, since the fit is tighter than other HJC helmets, it keeps the noise levels low. It works well as a windscreen and has low turbulence noise as well. Because the top vent holes are blocked, there is very little noise from the top of the helmet. Although most of the features of the IS-17 make it a good option, the fact that it does not have the Snell M2010 rating is a major drawback. 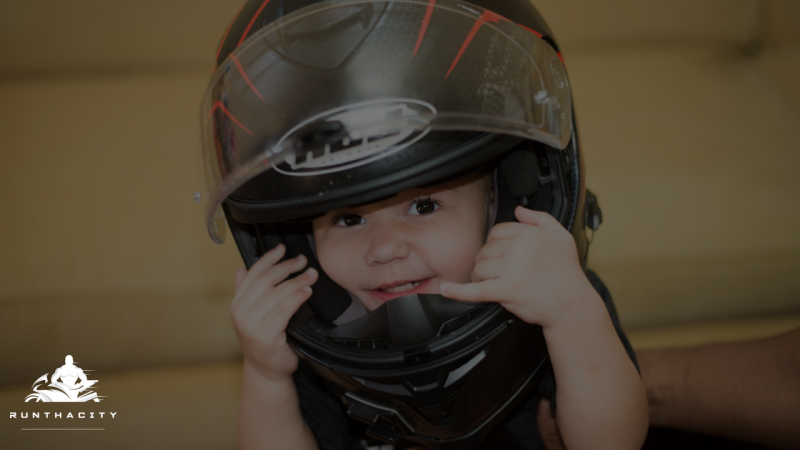 Studies have shown that nearly 23 percent of helmet impacts are in the forehead region where the internal sun visor sits. In addition, the top vent system and the wavy face plate present significant problems. 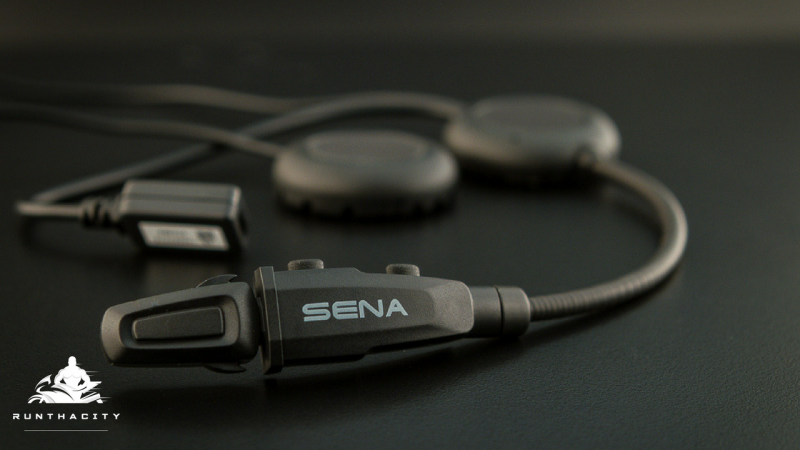 The Sena 3S Bluetooth Headset can best be described as simple but good, a tiny, light headset that weighs about the same as a few coins. Not only is it light, but it is also very easy to use with just two buttons used to control the headset. 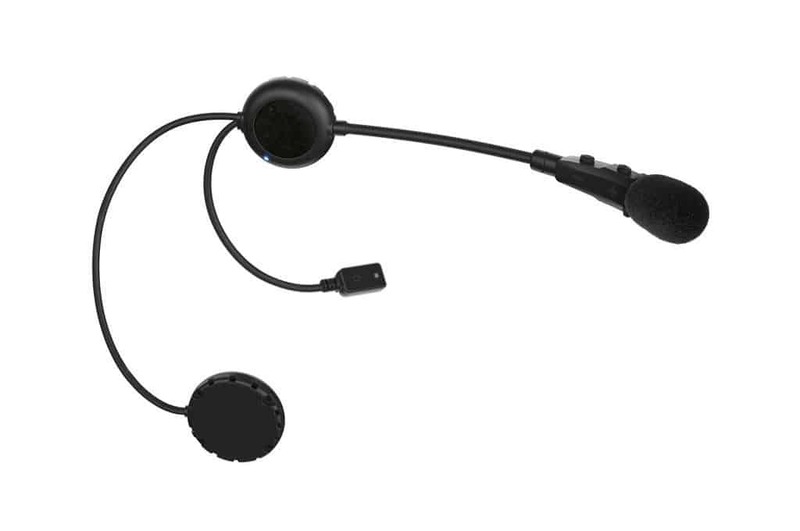 The headset is available in two versions – the 3S-B with a boom mic or the 3S-W with a Lilliputian mic. 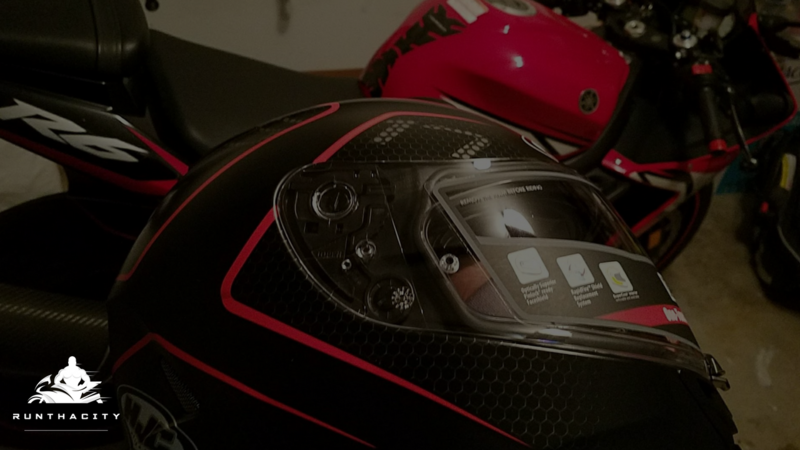 The Sena 3S Bluetooth Headset is the next generation of the Nexx SXCOM, the first self-contained motorcycle system which was a joint venture of Sena and Nexx. 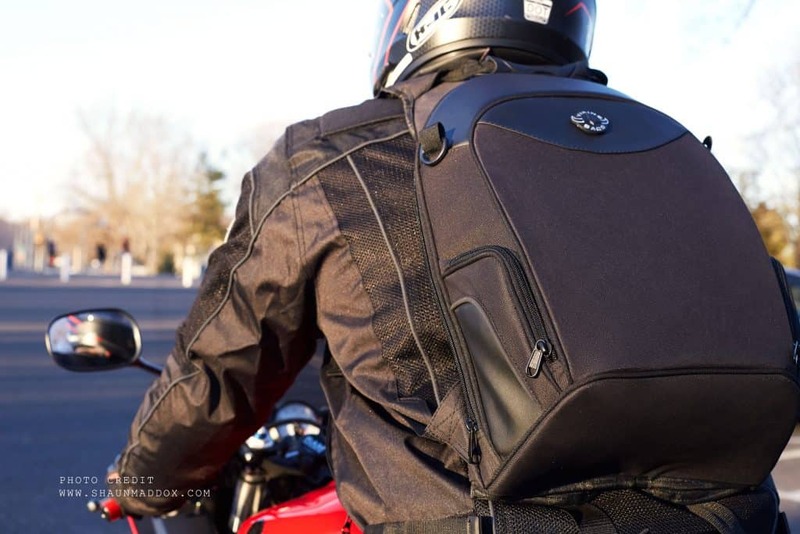 The headset was introduced at the 2014 AIMExpo Show in Orlando, Florida. 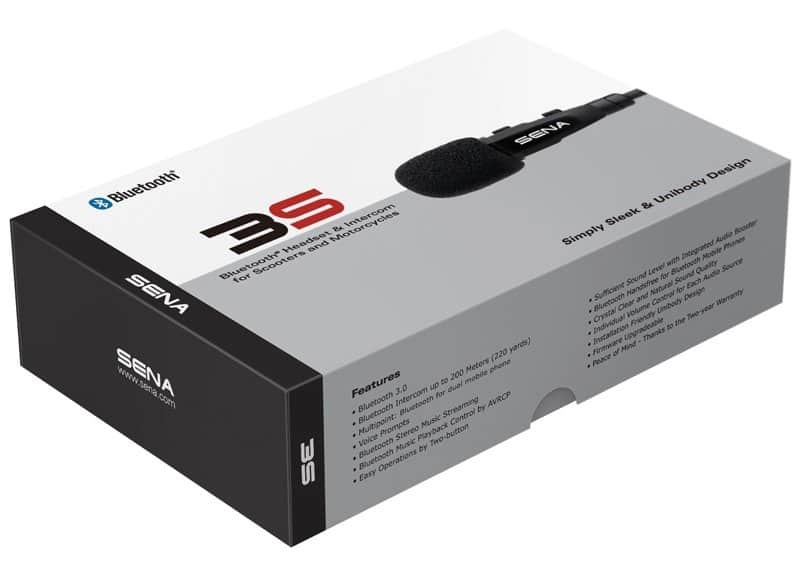 The 3S is smaller and lighter than the SX-COM, containing a pair of speakers and a microphone. It is self-contained and uses a Bluetooth stereo headset and intercom. For a cheap motorcycle Bluetooth headset, the 3S has everything you need and nothing you don’t. Early motorcycle headsets were extremely difficult to use. Some were so complicated, you needed to tape instructions to the gas tank to remember what sequence of buttons to press. They had very limited range and it was sometimes impossible to talk to passengers through the headsets. Included with the headset is a four-page “Quick Start” booklet or you can download a .pdf form of the leaflet from Sena here. The headset powers up using a quick press of the + and – buttons. Even better, these two buttons control the entire system, whether you want to change the volume, use your phone or pair a GPS or MP3. 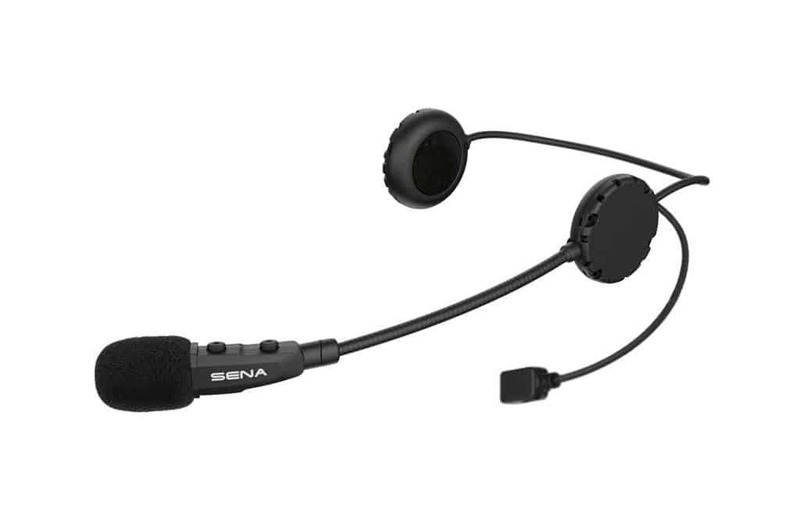 The speakers on the Sena 3S are a little bulky, but not any worse than other types of motorcycle headsets. The sound is good and can be heard easily over the sound of the bike. The microphones are sensitive so the mouthpiece does not need to be pressed to your mouth like other systems. In fact, if the mic is too close and the volume to high, the speakers are overwhelmed. Music quality is good as well and you can distinguish bass sounds easily. For a cheap motorcycle Bluetooth headset, the sound is outstanding, however. Should I Choose the Boom or Wired Version? Whether to choose the boom or wired version of the 3S depends on several factors. The boom version is designed for open-face helmets due to the location of the operating buttons. The + and – buttons are located along the top end of the microphone and, although you can reach under the face shield to press them, this can be difficult. If you are also wearing thick gloves or have a large face shield, accessing the buttons on the boom mic is not easy. However, the wired version doesn’t work as well in full-face helmets, especially if there is a large chin vent. In those cases, wind noise can affect microphone performance. Two-buttons on the control pad on the mic or the external mount control all features. Bluetooth intercom up to 200 meters (220 yards) in open terrain. Bluetooth pairing for mobile phones (can connect dual mobile phones). 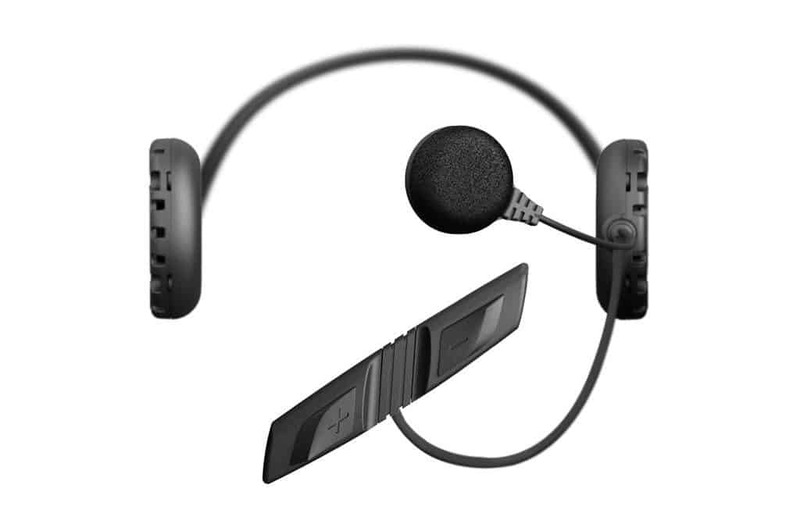 Bluetooth stereo headset with A2DP. Bluetooth music playback control by AVRCP: play, pause, track forward and track back. Up to 8 hours talk time, 7 days stand-by time. Individual volume control for each audio source. Working distance (intercom): up to 200 meters (220 yards) in open terrain. Operating temperature: -10˚C ~ 55˚C (14°F ~ 131°F). Profile: Headset Profile, Hands-Free Profile (HFP), Advanced Audio Distribution Profile (A2DP), Audio Video. Remote Control Profile (AVRCP). 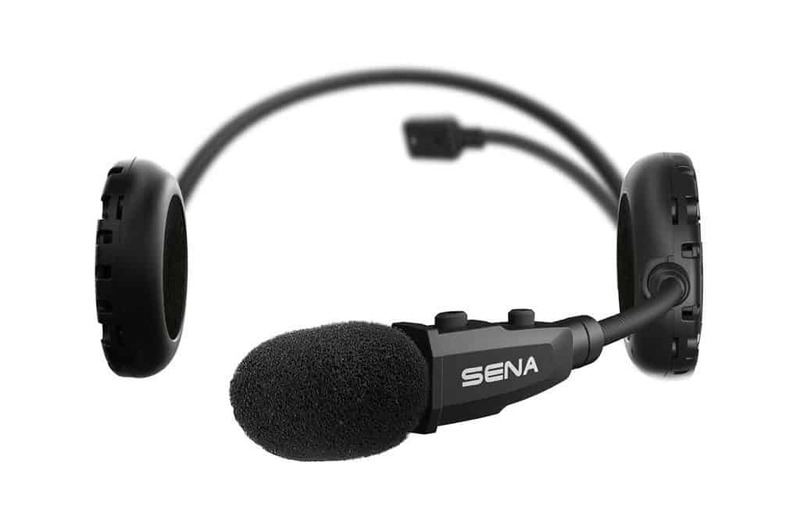 As a cheap motorcycle Bluetooth headset, the Sena 3S appeals to several types of riders. It is perfect for those who want to try a Bluetooth intercom set or those who need an easy-to-use system that isn’t expensive. 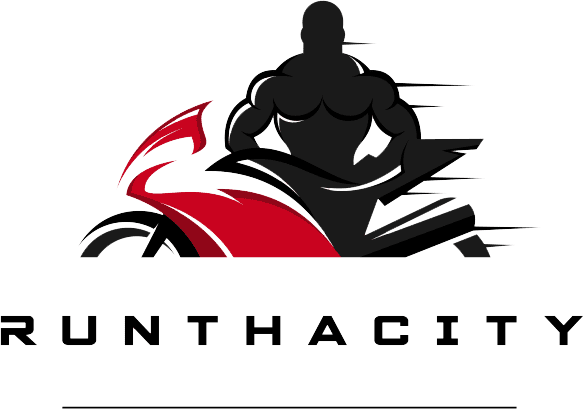 To learn more about the Sena 3S Motorcycle Bluetooth headset and other accessories for your bike, visit check out my YouTube channel.